Enjoy this exclusive opportunity to walk along and visit the secret corridor of the Medici family and the Uffizi Gallery together with an English speaking guide. 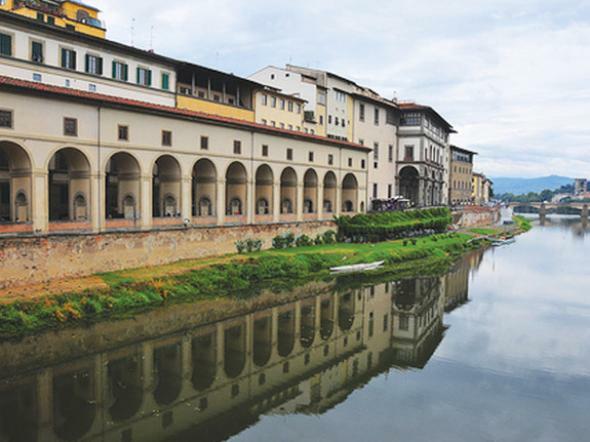 Hidden between city houses and even passing through a church and over the Ponte Vecchio, the Vasari Corridor has evolved as one of the most astounding architectural masterpieces of the Renaissance. 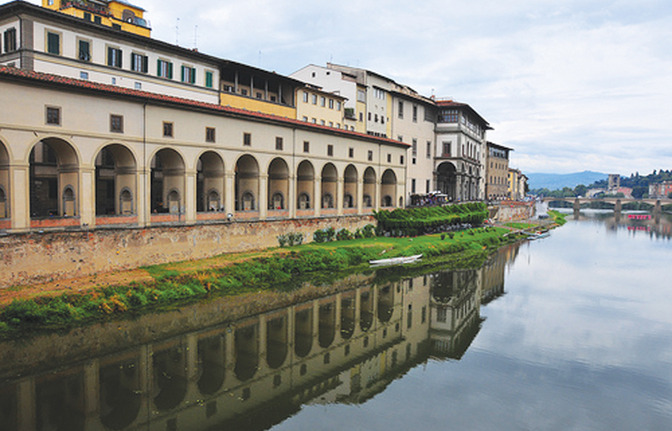 The corridor is rarely open to the public, so take advantage of this unique opportunity to view Florence and its artistic pleasures on this exclusive walking tour. At once you will have the chance to enjoy a 1,5 hour guided tour of the Uffizi Gallery, skipping the usual long lines and combine it with this very exclusive opening of the unique Vasari Corridor.